Go ahead, take a deep breath and enjoy that fresh clean smell -- there are no chemicals here. Whether you're combating stale winter air, pet or cooking odors, or just want an olfactory pick-me-up, there are several ways to go about freshening the air in your home without introducing any harsh chemicals. All of the ideas below use simple, safe ingredients you probably already have in your home. The first air freshener, presented by JumbleJoy's video, is almost ridiculously easy to make, because it only has two ingredients. 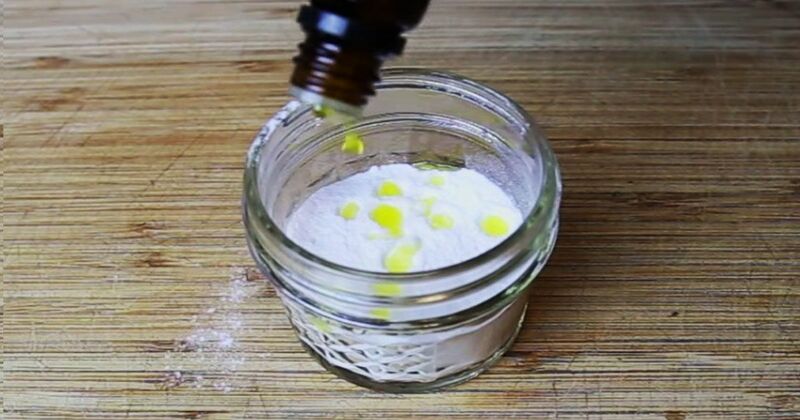 Pour some baking soda in a mason jar, and add essential oil. Replace the jar's lid with a cover of your choice, puncture a few holes in it, and you're done! Watch the video for specific details. If mason jars aren't your decor style, or you simply prefer other methods of distribution, you can mix your own spray air freshener using essential oils. Or create natural citrus candles from real citrus -- as in, using the fruit itself! Reed diffusers are another way to go and, with so many different scents and styles, you are sure to find one you love. Please share this article with others who appreciate a clean-smelling home without chemicals.